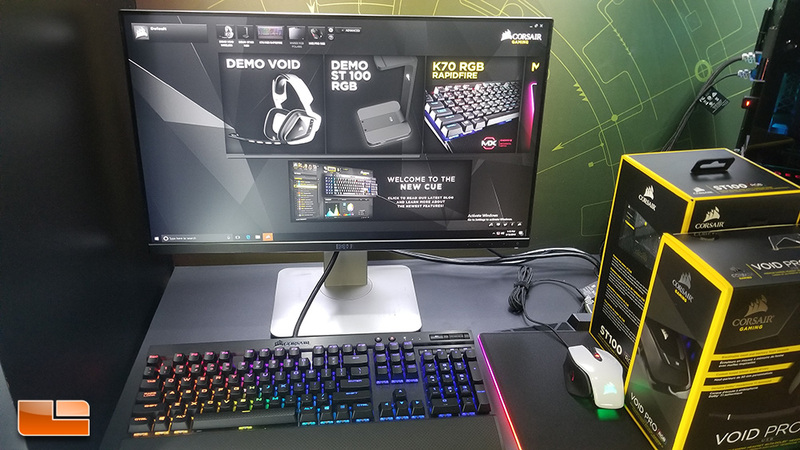 California-based Corsair is one of the most well known manufacturers of components and peripherals for the PC enthusiast market. 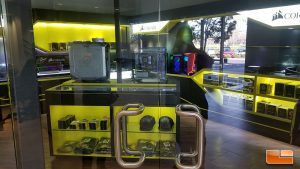 Corsair and Legit Reviews have been working together for over fifteen years, but surprisingly, none of our staff had made a visit to their newer HQ building in Fremont, California that they moved into a couple of years ago. Nathan covered when Corsair moved offices over a decade ago, but Corsair has since moved on to a bigger, better office, this one coming in at a massive 64,000 square feet. I decided to coordinate a visit with the company since I am reviewing a few of their items and wanted a chance to catch up with some of the people at Corsair who I hadn’t seen in years. 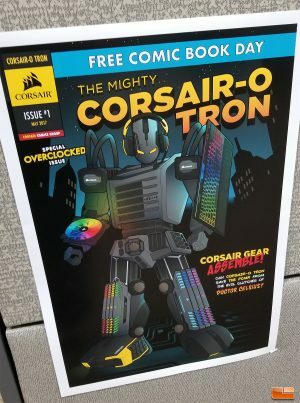 What really surprised me about Corsair is just how large the organization has gotten, even from a couple of years ago. 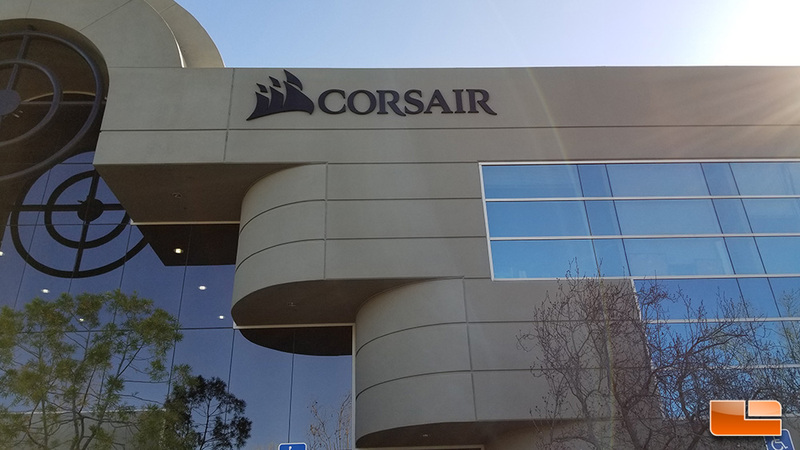 We have seen Corsair grow from a handful of people into a giant company with over eight hundred worldwide employees, so it is quite an amazing sight to see their current headquarters. Corsair has a huge building in the San Francisco Bay Area that is filled out really well with various departments, with two stories of offices and cubicles surrounding various testing, qualification and R&D departments. 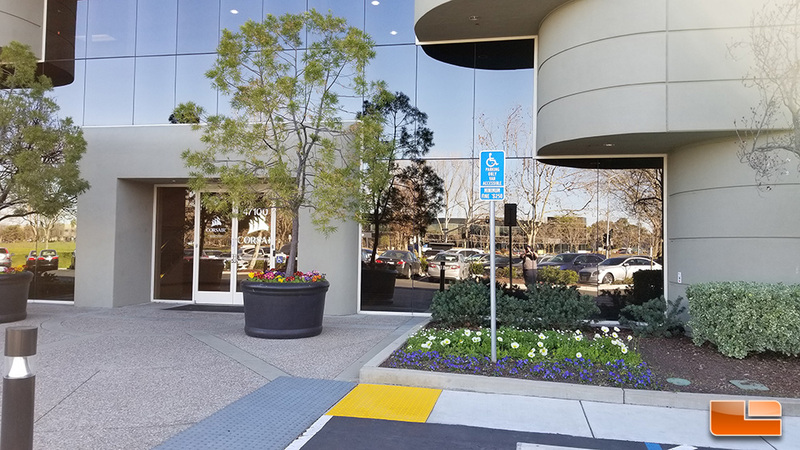 When you arrive at Corsair’s Fremont, California headquarters, which is about an hour from San Francisco, you come to a very large, modern building with lots of glass and angled design. A gigantic black Corsair sails logo and branding is at the top of the building with Corsair branding on each of the glass front door panels, so there is no secret of where you are. 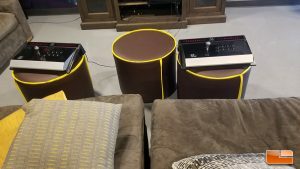 Interestingly, when I pulled up, my marketing contact had left his Toyota truck out front and the back cargo area of it was FILLED with various Corsair components that were to be taken to a destination across town. 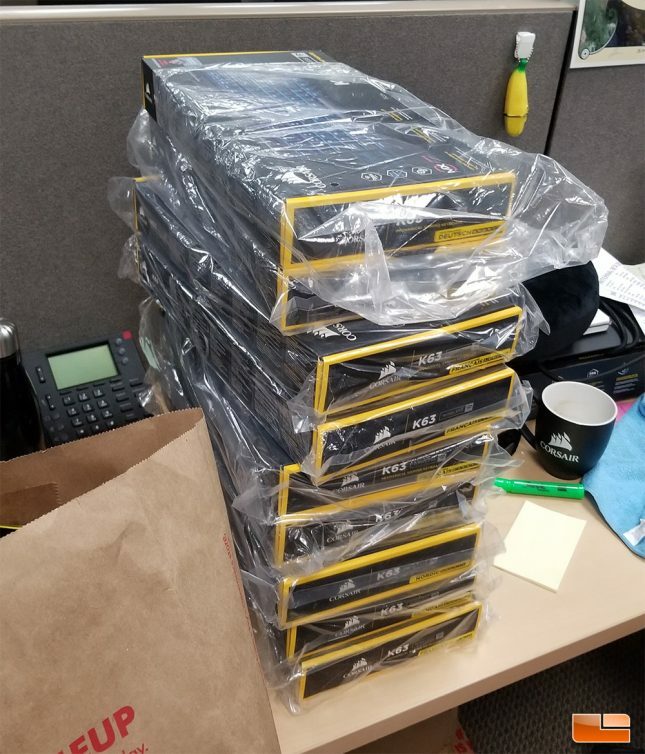 I just thought Corsair might randomly leave the truck out front as an Easter egg for their customers, but my rep quickly informed me of the situation. 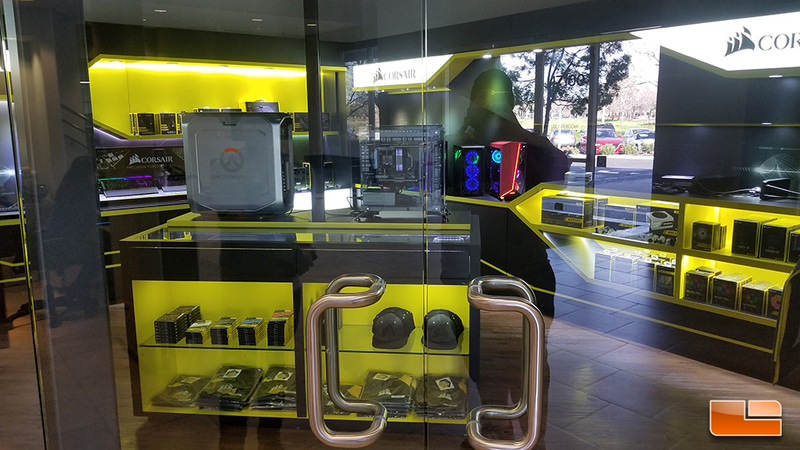 When you walk into the Corsair office, there is a receptionist desk straight ahead, but your eyes will likely skip it to immediately fixate on the Corsair store, which has been outfitted with custom system builds featuring the latest Corsair components. The Corsair store is typically locked up to prevent random people from coming in and looting the place. When Corsair hosts events in their gaming center such as gaming tournaments or game previews, the Corsair store is opened up and people attending the event can buy Corsair components and accessories. 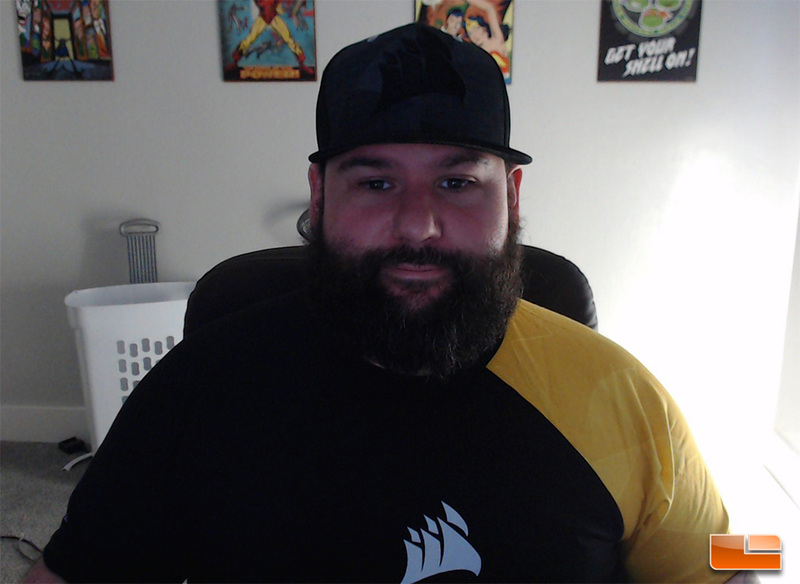 With permission from Corsair, I managed to grab a hat, jacket and t-shirt from the Corsair Store before I ran out of room in my arms. I gotta say, the Obsidian Packable Jacket that Corsair were giving out during CES is really nice and I was also informed that one of the perks of being a Corsair employee is that you get Corsair components and accessories at a discount, since the company wants their employees to use the products they represent, understandably. 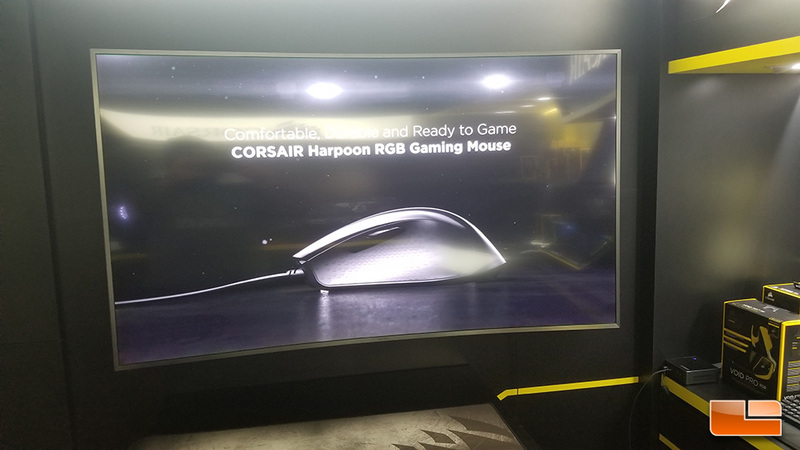 A large curved LCD television is in the Corsair store to show off promotional videos for Corsair products. I noticed some of the videos were for older products, so the video rotation in the Corsair store could use some attention and updating. 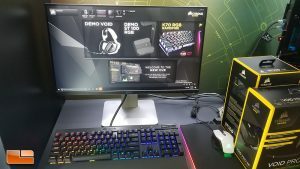 Corsair makes sure to show off their latest flagship products in their store. 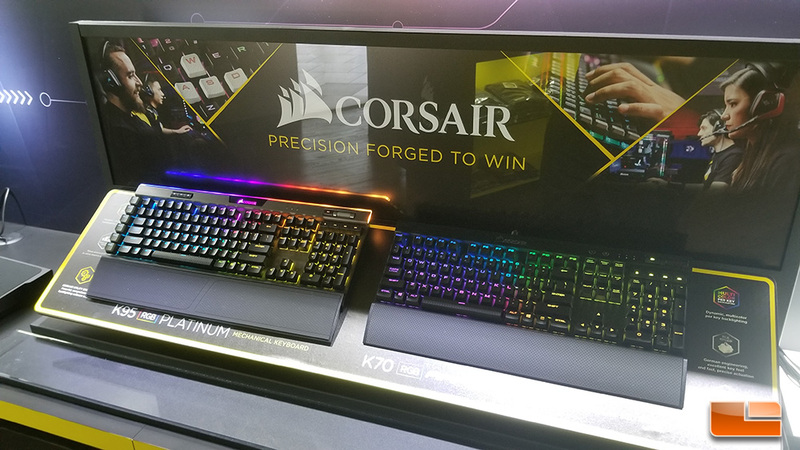 Here we see the K95 RGB Platinum and K70 RGB Platinum, two highly featured mechanical keyboards. 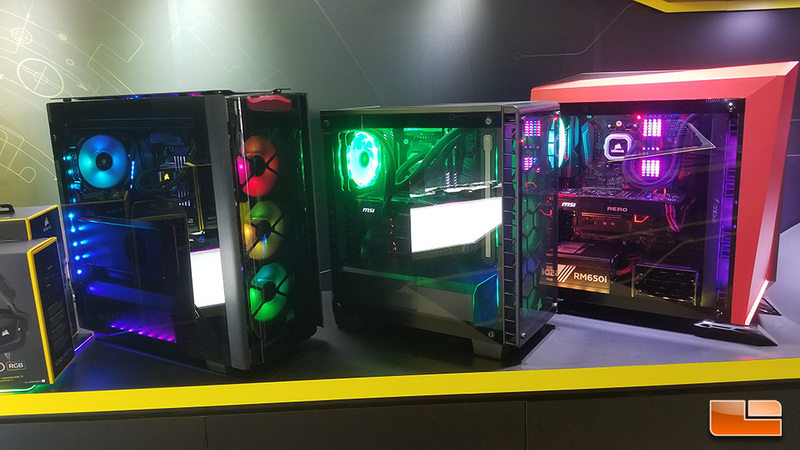 Corsair has outfitted their store with various systems of this caliber, but they aren’t set up for use, but rather just as display units to show off what you can do with Corsair components. 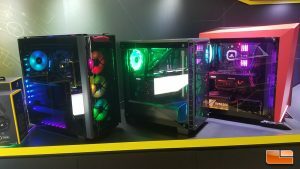 In the picture above right, you case some of the current Corsair case lineup, along with the concept Obsidian 500D with tempered glass they showed off at CES 2018. The Corsair store has been done very well, with an excellent aesthetic and layout. 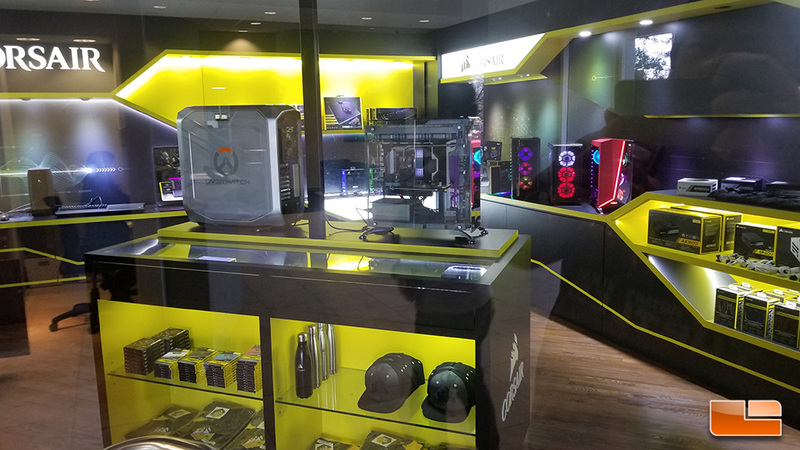 If you are visiting Corsair for the first time and aren’t going beyond the lobby, the impression you get will be of the Corsair store, which is has an excellent presentation. I could see this concept store flipped into a boutique retail outlet, though Corsair hasn’t mentioned any intent in exploring that venue. 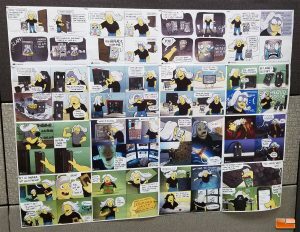 If you follow Corsair on social media, you likely have seen their comics. 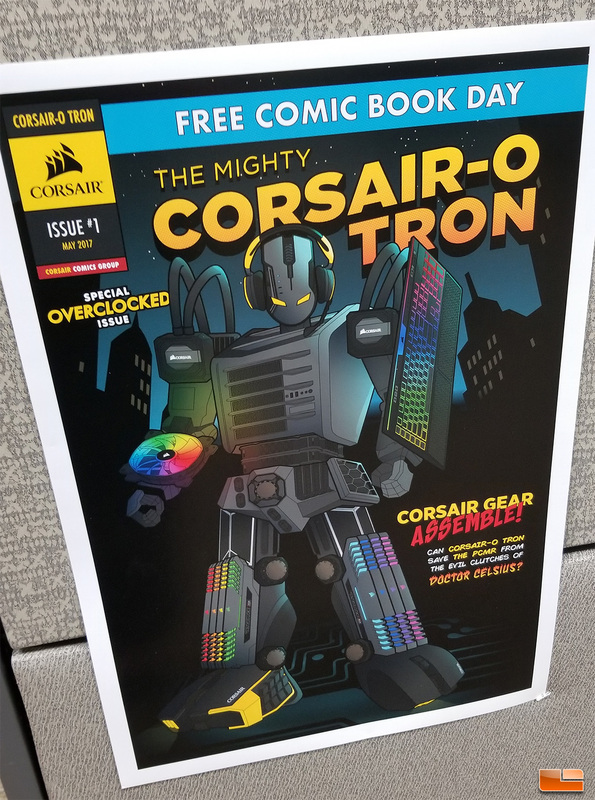 What you may not know is that Corsair actually has a dedicated comic department and pays full time staffers to create all of their comics, which are pretty awesome. George Lampard is in charge of writing, while Tim Fangon handles all of the illustration. I got a chance to meet and talk with Tim and he was a nice guy who is proud of his work. Check out Corsair-O-Tron, the robot made out of Corsair components. Venturing into the office into the realm of cubes, I did have to note the sheer amount of Corsair hardware that was just sitting in various cubicles for testing or other purposes. Corsair is an international company, so they have to consider various markets when producing products. If you look closely at these K63 Wireless keyboard boxes, you’ll see that these keyboards are actually for different regions, with German, French and Nordic models pictured. I recently reviewed the K63 Wireless, so be sure to check out my thoughts on the first wireless keyboard from Corsair. 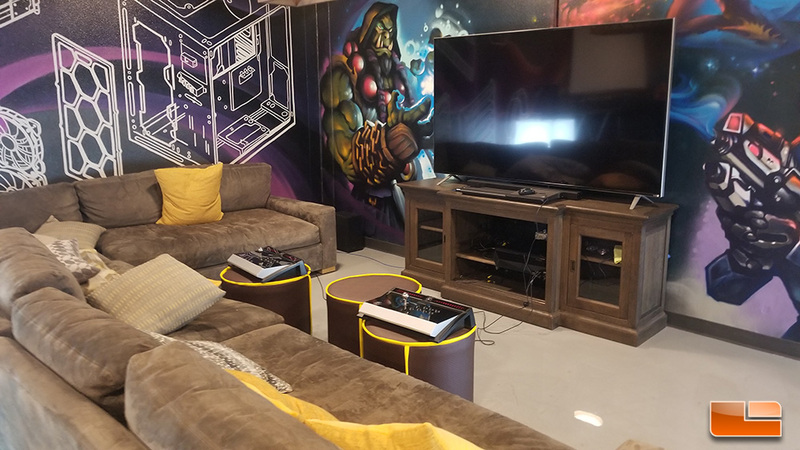 When Corsair hosts gaming events, this is the room they do it in, as it is large and has rear door access for easy entry. There is custom artwork throughout the room featuring game characters and Corsair wire frame product designs. 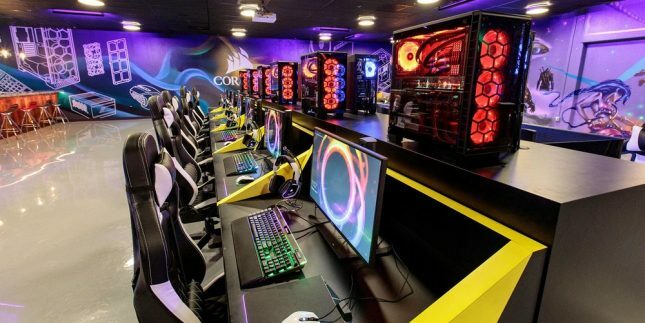 Corsair has a set up more impressive than any LAN gaming center in the area and it just is idle a majority of the time. Seriously, I feel like this amazing room deserves way more use. I should have been taking more pictures of the twelve system competition area that Corsair has set up, but I managed to miss the opportunity because I was distracted by the bar. 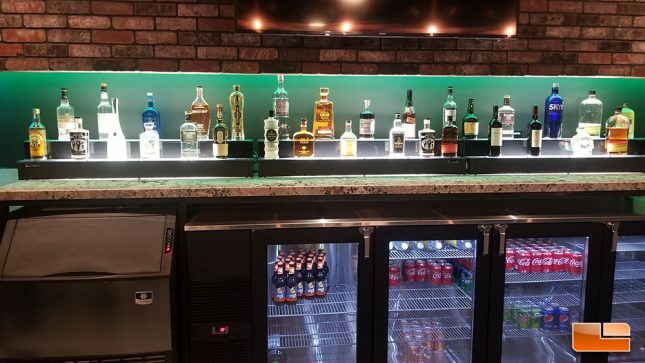 That’s right, Corsair has a full bar available for attendees of their events and since there was no bartender on duty during my visit, I hopped back there and mixed some drinks. Don’t worry, I am a professional. 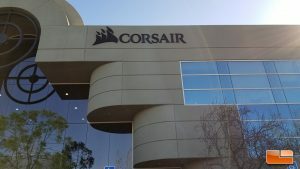 Corsair has various departments at their office and it is easy to forget just how many markets Corsair is involved in, but just to give an idea, I walked by one meeting involving DRAM procurement that had twenty people in it, alone. It’s crazy to think how many people are involved in bringing us the computer peripherals and components we use and how much planning goes into making these products. 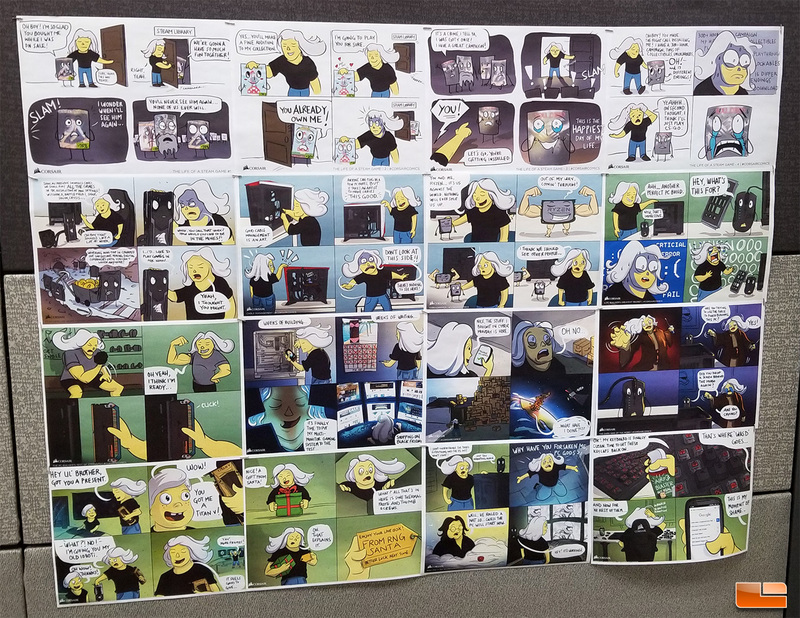 I wanted to show off some of the cool stuff over at Corsair and this is just a fraction of what there is to see at the office. Corsair was very welcoming and everywhere I went in their building, I was welcomed and treated great by their professional staff. It was great running into Corsair guys I’ve been in contact with for close to two decades like Robert Pearce, along with meeting a lot of the new faces at Corsair. Corsair seems to be growing and expanding at a rapid rate and I am very interested in seeing where the company is positioned a couple of years from now.